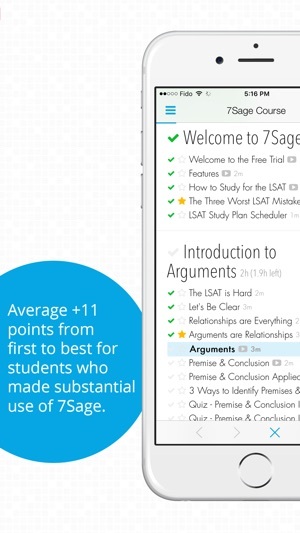 Join over 50,000 students who have chosen to study for the LSAT with 7Sage. Want a higher LSAT score? You need this app. It includes an LSAT course, proctor, scorer, video explanations, and more. Master LSAT logic games with full HD video explaining the best approach to each and *every* logic game. Grade and track all your LSAT PrepTests. 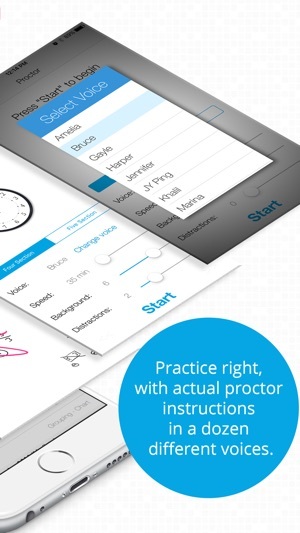 Make practice LSATs feel just like the real thing using the included proctor. Perfect for LSAT prep - including complete logic game explanations, practice PrepTest score calculator to grade your exams with BlindReview™, and a realistic full-featured exam proctor. Designed by two Harvard Law School grads, based on experience teaching thousands of students to outsmart the LSAT. 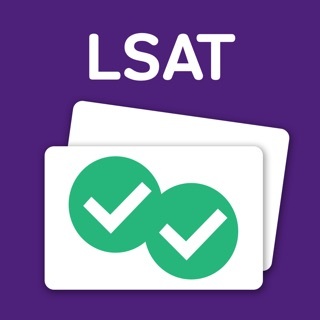 "nothing better on the market"
"There is a great LSAT grader ... a ton of free logic games explanations ... makes this a must have"
"This is BY FAR the most helpful app I have used in my LSAT prep." "Amazing app and online course. Everything you need to crush LSAT and then some." "I wasted so much time and money on PowerScore. I just wish I had found these guys sooner! 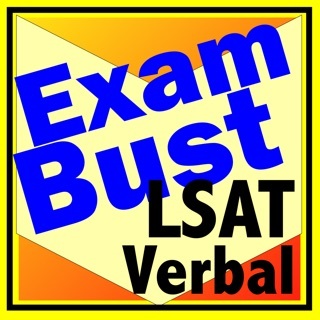 Absolutely the best LSAT prep course, by far." "Most important app in my LSAT prep by far. Hits me in the feels." "Best product on the LSAT market. Period." "I lucked out finding 7Sage. Trust me, years ago, I did the big name course and it sucked." "Hands down, the best resource for LSAT studies. No contest." 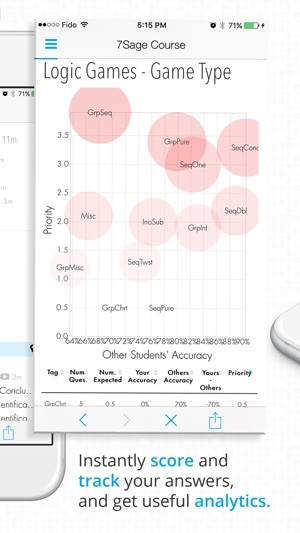 "Best LSAT App. Love how simple and down to the point this app is. A must for LSAT studying." "This app has saved my life. Okay that might be a bit of an exaggeration, but this really help me with my studying for the LSAT"
"This is perhaps the best LSAT app I've seen, the proctor works great and has many useful features and the grading feature is fantastic!!" "The 7sage course has helped me improve 14 points on my diagnostic and I am now consistently scoring in the 170's. Get the app, buy the course." "This app is perfect! It's so complete and helpful the people who made it deserve a special place in heaven." "Simply awesome! Thank you a million times over!!!" "Brilliant ... 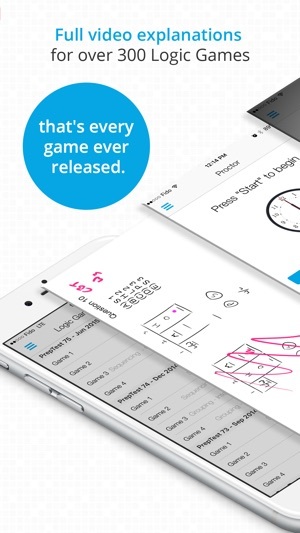 Simple yet superb app for recreating test day." Minor bug I found since I have the contrast mode on so the website is black — videos put into full-screen mode revert back to white backgrounds and black text. I think what would take this app to the next level is allowing offline viewing of the videos (maybe a similar setup to Netflix’s app that allows users to download episodes to their device up to however much storage available). Out of habit I go to the website via Safari on my iPad. Especially since the test is going digital, I think it would help make things a lot more accessible for tablet users like me who rely on WiFi for internet access, which I don’t always have when I’m trying to study outside of home. Otherwise, I don’t see much benefit/difference between using the app over the website. Maybe this could be a feature for just Ultimate+ students, give people more incentive to sign up for the most comprehensive package? If you are in search of a resource that provides you with a clear, personalized structure and schedule; excellent foundational information; and individualized feedback, 7Sage is your best option. In the past, I used the Powerscore Bibles (in addition to other books and online resources) and 7Sage has been far more helpful. It is very interactive (descriptive videos of questions and their answers, chat forums, analytical feedback, messaging boards with experts, study tips, etc.). This allows you to get individualized advice more easily than in a physical or online classroom setting. Plus, you can access it on multiple devices (helpful for when you are on the go). Thanks 7Sage! You got me hooked on the LSAT. No excuse to not study! So I am currently 17 days away from the LSAT. I signed up for 7Sage after months of struggling through mediocre scores. I have been studying using the Bible's, other programs, Mike Kim's book, etc. they were all great but sometimes I need things just drawn out. And this did it. There is a free service. And it helps explains the games. I signed up for the most basic package. And I can now study anywhere I have cell service. I love how I can stay in bed and study. On a road trip or while cooking dinner have a lesson going. 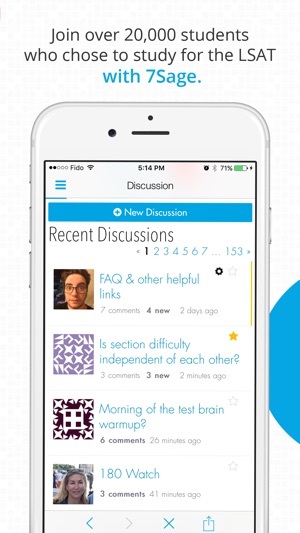 It's a great app and even has proctored exams. Give it a shot. It's free so what do you have to lose but a better score on your LSAT. © 2018 7Sage Education Inc.